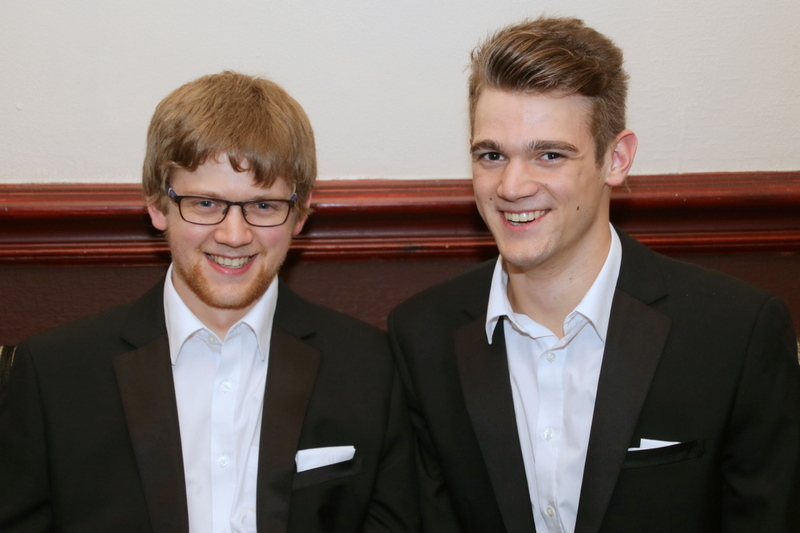 The last Morlais Birthdays of the year, just sneaking in under the wire before New Year, are our only set of Genuine Twins in the choir, Dylan and Ryan Nash. Ryan (left) is the one with the hairy man-face and sings in our rumbling bottoms bass section. Dylan (right) is at the complete opposite end of the choir with our top tenor squawkers. This pair are genuine non-identical twins, with Dylan the older by a full 7 minutes or so. HAPPY BIRTHDAY Bass-Twin and Tenor-Twin!